I hope you have been watching the progress on Aidan's Star Wars quilt because this one has been a lot of fun. (Yes, I really mean it!) It had its challenges, but it came together well and took less than a month to complete. 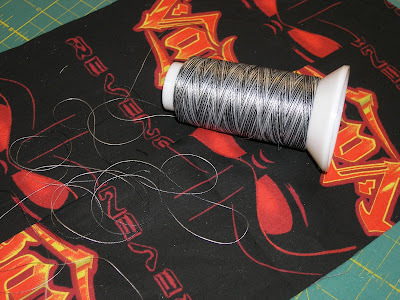 To give the quilting a little more interest, I decided to use Rainbow Threads in "Zebra" by Superior Threads which alternates black and gray and white thread. There's a little more white in it than I had hoped, but I like the way it turned out. 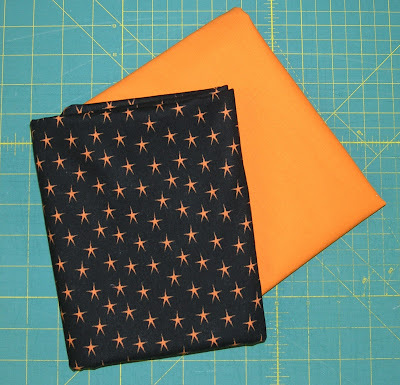 I ended up using orange for both the inner border and the binding and then piecing the back to use up all the fabrics. I can hardly wait to give it to him. 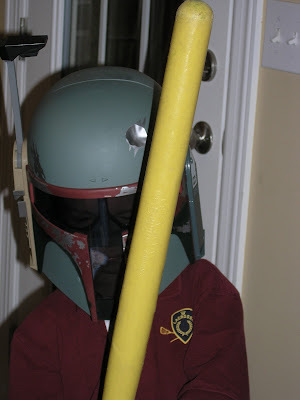 He was SO excited when I told him I was working on a Star Wars Quilt for him. .....and this is what he looked like the last time I saw him. I think he may have been a Storm Trooper. I know that's a light saber. Just about everything IS! 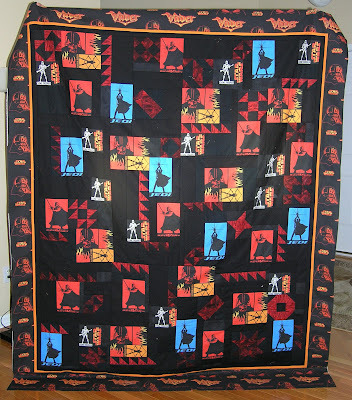 I actually spent National Quilting Day working on a quilt! 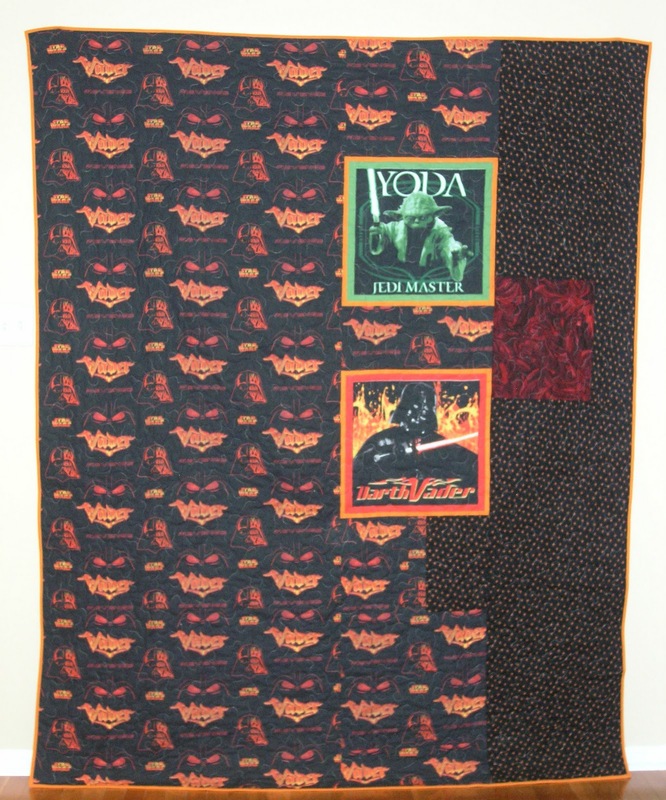 In my last post I showed you the progress I had made on Aidan's Star Wars quilt. 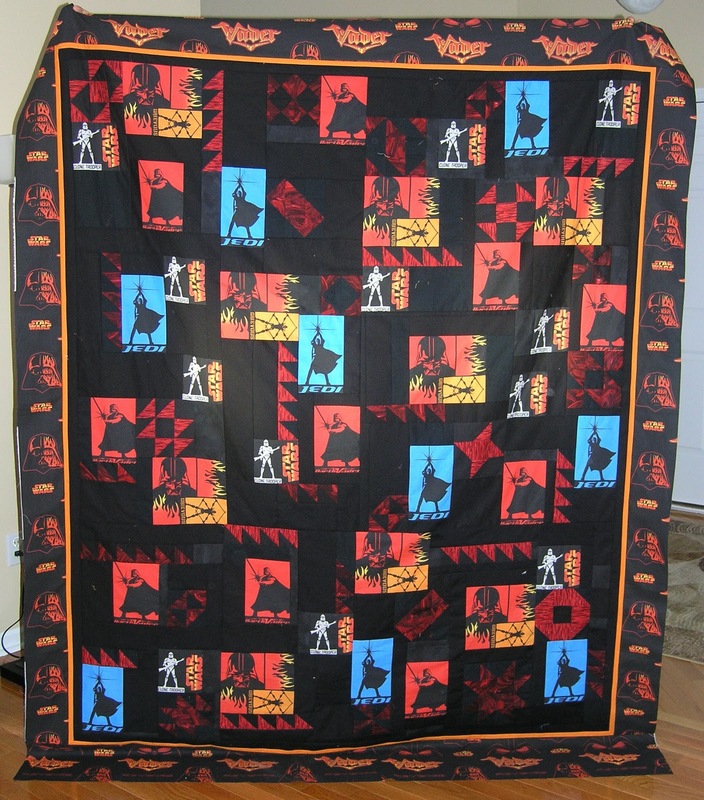 I am happy to report that because of National Quilting Day the top is complete. 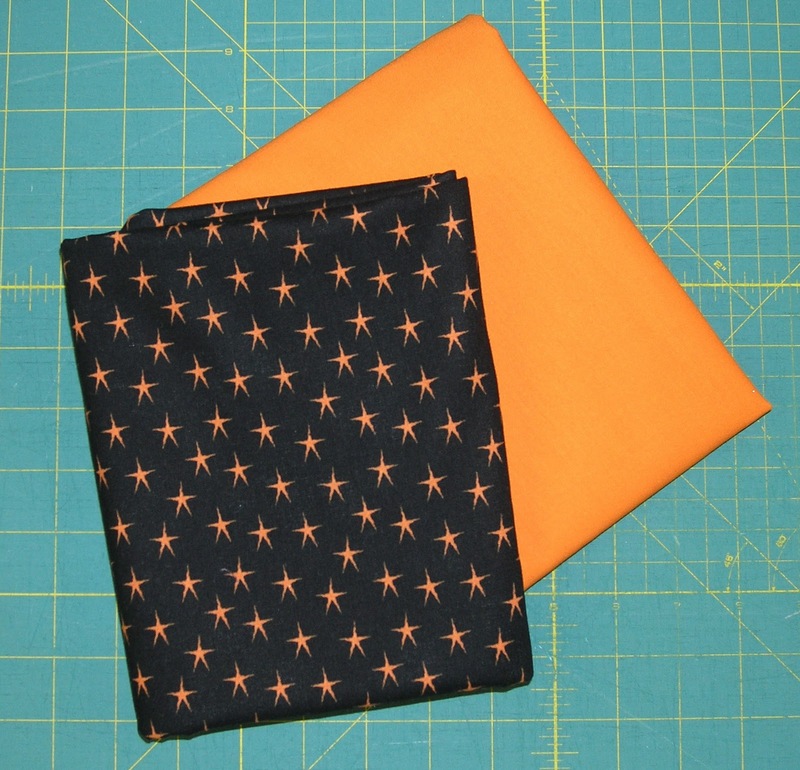 On my way home from visiting my grandchildren in Huntsville the other day, I stopped at Hancock's of Paducah and bought these two fabrics for an inner border and binding. Yesterday I finished filling in the black background and added a half inch inner border of orange before putting the Darth Vader borders on. 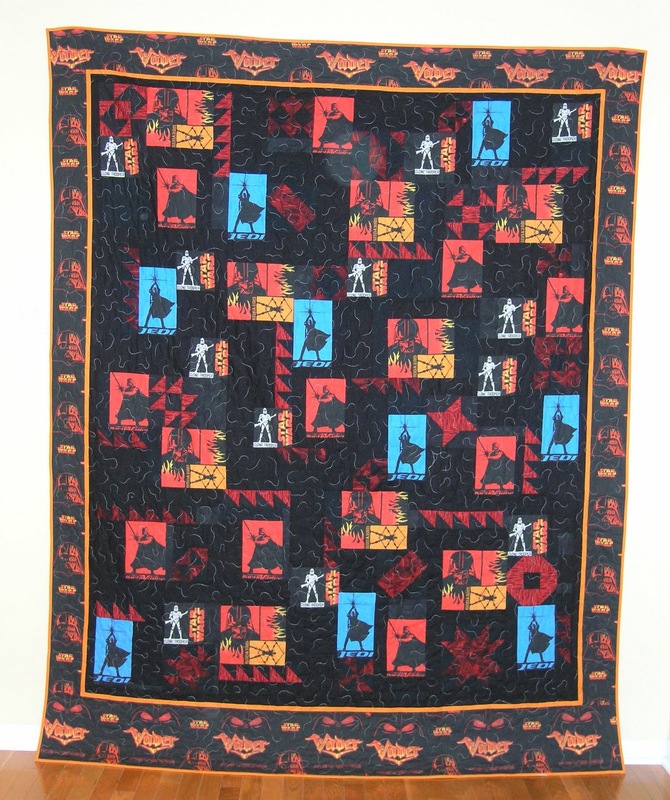 I am loving this quilt! Now, to piece the backing. 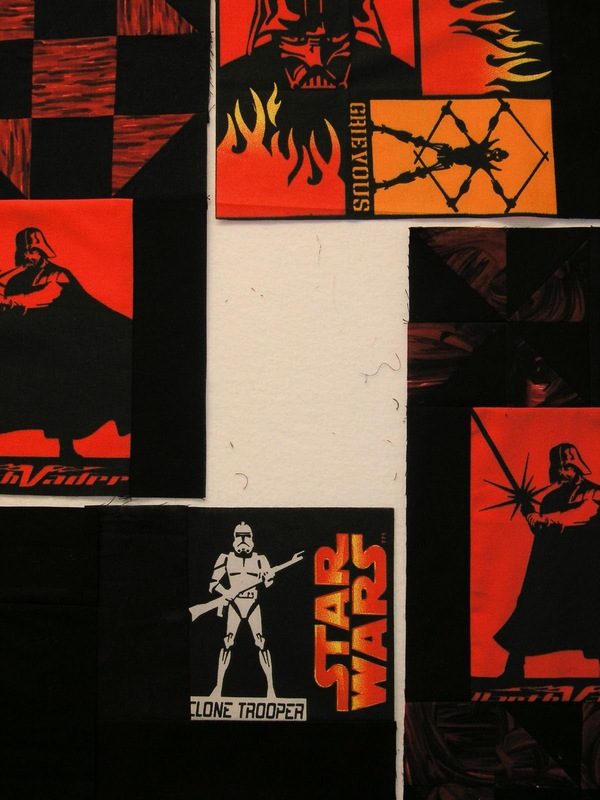 I have these two pillow panels that I want to use on the back along with the Darth Vader fabric and some black and orange scraps. I am really excited about getting this finished. 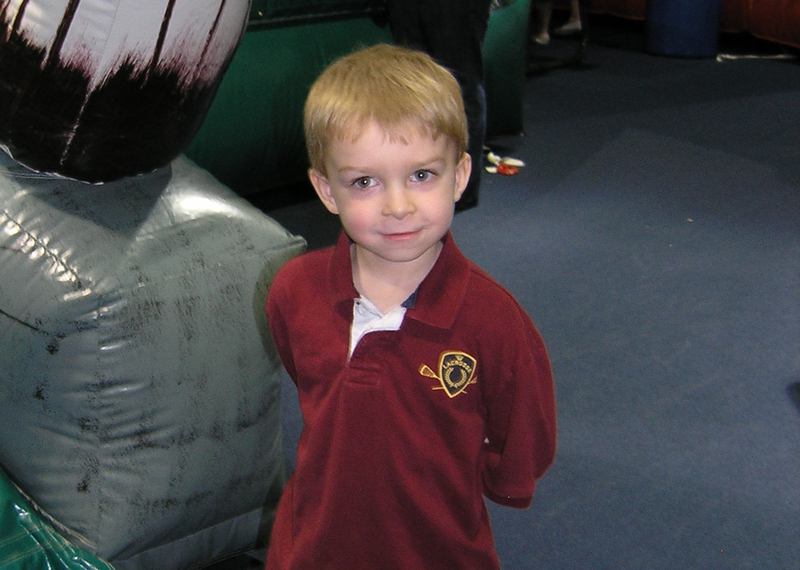 I know Aidan is going to love it! 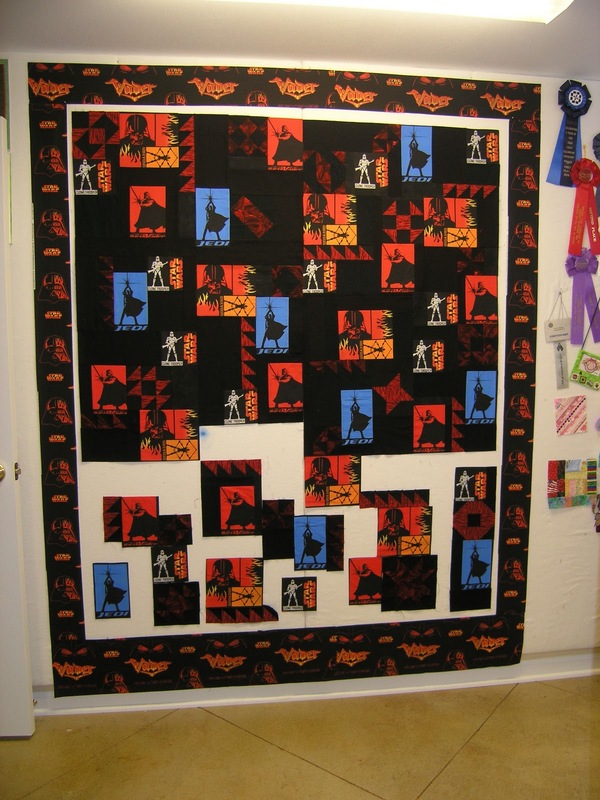 On a serious note -- I think we should have a MONTHLY National Quilting Day. Don't you!?!? Seriously. Did I really say, "All I have to do is finish filling it in with black and it will be ready to quilt" in this post?? I had no idea what I had gotten myself into. Thinking it would be done in about a week, I started cutting pieces and sewing them into place. Well, it isn't as easy as it looks! It certainly isn't like making blocks and sewing them into rows and then sewing rows together. The more I sewed, the more I ended up with places like this to fill in. I ended up sewing that piece into place like you would sew a "Y" seam, only it really was more like sewing an "L" seam. It worked, though. It's coming along nicely now, and I have hopes of finishing it in March, which was my original goal. 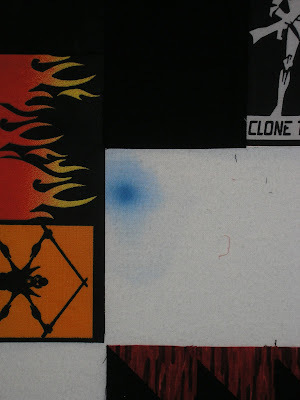 In case you wondered what that blue spot is in the middle of my design wall, here's a close-up of it. My grandson Gavin decided several years ago, when he was about 6, that if Gramma can put her art work up on the design wall, then so could he! Take my word for it -- water colors are not easy to get off your flannel design wall. Awww, I love it, though!